Northern New England's new professional choir presents two baroque masterpieces with period instruments. Co Artistic Directors Nacole Palmer (ME) and Matthew Leese (NH) with period instruments led by Marika Holmqvist (NY). 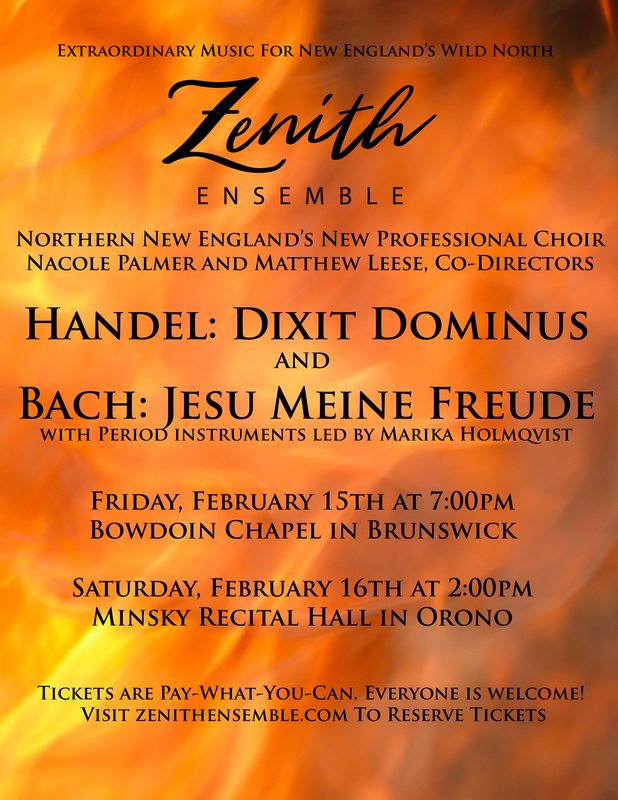 February 15 @ 7 pm in Brunswick (Bowdoin Chapel, Bowdoin College).